When I was first diagnosed with Celiac Disease about four years ago, I ate a lot of chicken and rice. They were the easiest and safest foods I knew of as I began my journey into gluten-free living. Since that time, chicken has always been my go-to for quick and delicious meals. However, I now like to mix things to take a boring piece of chicken and make it fabulous. Although my husband, Steven, informed me that he is not a big fan of chicken and fruit, I set out to show him that it actually is quite delicious. 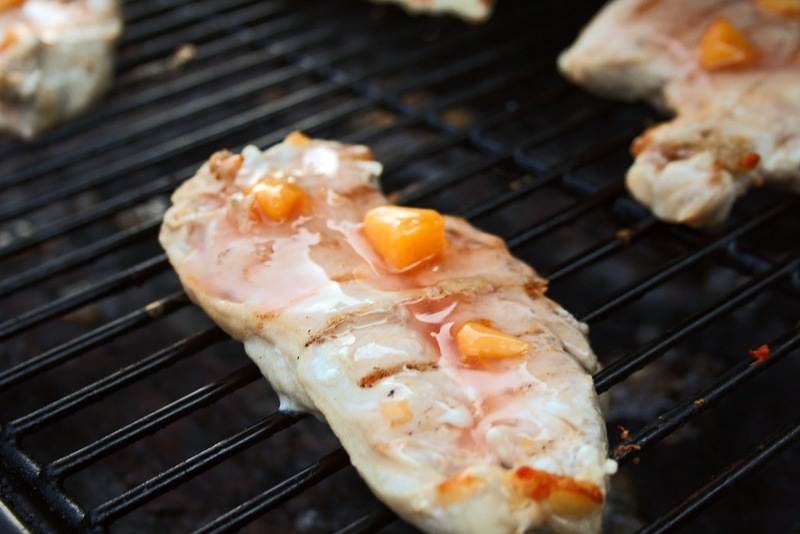 I came across this recipe for Grilled Chicken with Peach Sauce in my Taste of Home Five Ingredient Recipes book (I told you a lot of my recipes would come from here). The recipe looked interesting, but sounded tasty, so I decided to give it a whirl. Turns out, it really was tasty and Steven enjoyed it too. 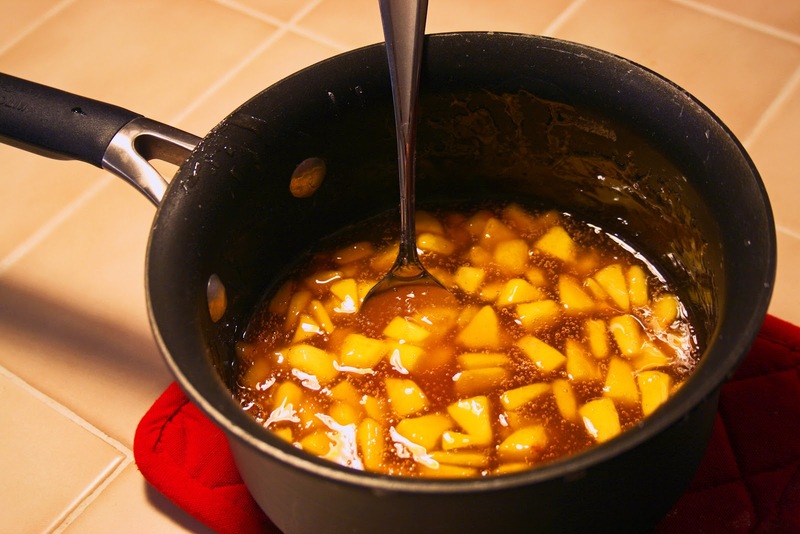 In a small saucepan, combine the sugar, cornstarch, and water until smooth. Bring to a boil over medium heat; cook and stir for 2 minutes. Remove from heat. Stir in gelatin powder (I used peach flavor) and chopped peach; mix well until gelatin powder is dissolved. Set aside 1 cup for serving. Grill chicken, uncovered, over medium heat for 3 minutes on each side. Baste with some of the remaining peach sauce. Continue grilling for 6-8 minutes or until meat juices run clear, basting and turning several times. 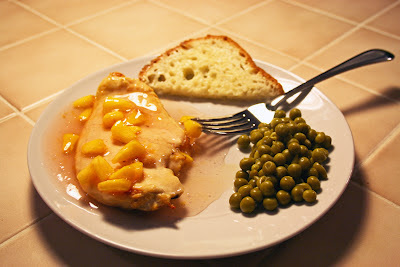 Serve with the reserved peach sauce.